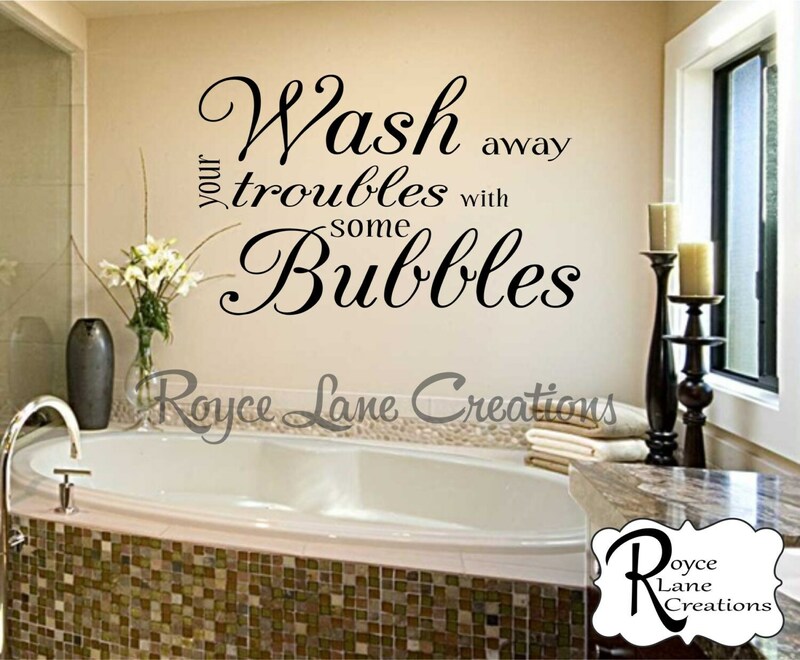 This fun decal would look great in any bathroom. It is made in a modern style similar to subway art which is very popular right now. There are 2 options available for each size: the text as shown in the photos, and the text with an additional strip of bubbles that you can arrange any way you'd like with your decal. If you order the bubbles with your decal, they will be the same color as the decal unless you request another color. 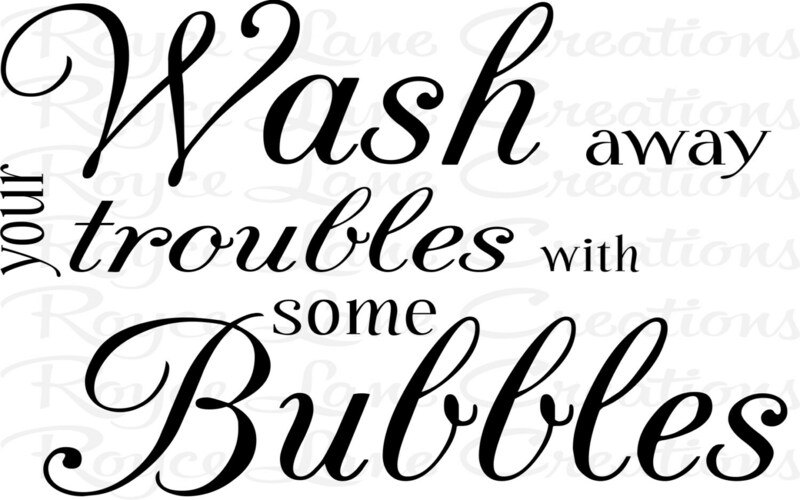 Single color only for the bubbles. This decal is available in many sizes. This decal may come in several parts to make it easier for you to apply to the wall. The measurements given are for the combined group. Individual sizes vary. You can always cut apart decals to make them easier to apply. The decal is shown here in a black color. 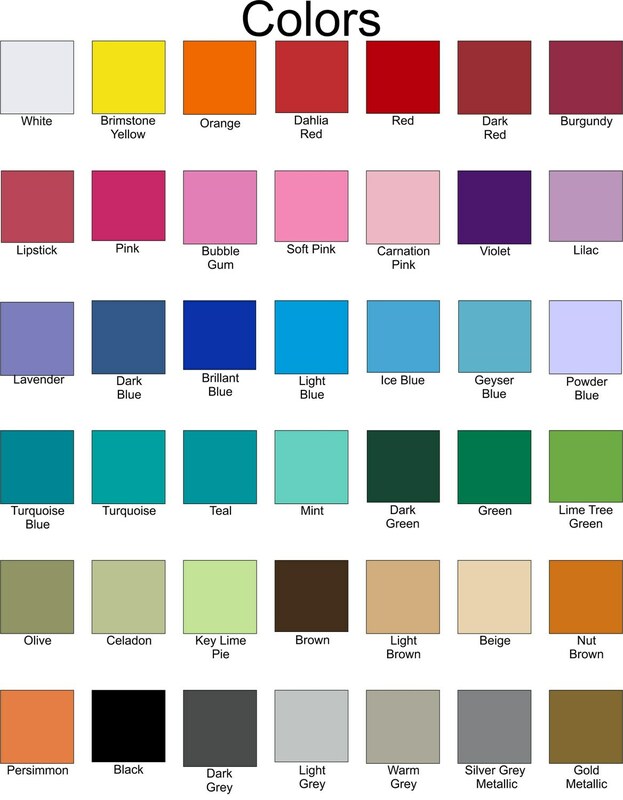 You may choose any color you would like from our colors. Our color chart is shown in the 3rd photo. super easy to apply, very happy. Shipped efficiently. Great addition to my bathroom wall!